Walmart is known for Innovations. Walmart reinvented the concept of town centers for the local communities & gave birth to Walmart Reimagined. 03 Dec Walmart -7 things the Middle Eastern retailers could learn. Walmart is driving the Retail innovation. 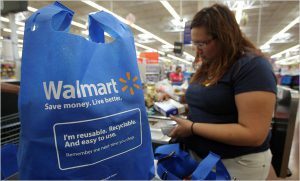 Walmart is the world’s largest company by revenue—over US$500 billion, according to Fortune Global 500 list in 2018—as well as the largest private employer in the world with 2.3 million employees across 6,363 stores. It is a publicly traded family-owned business, as the company is controlled by the Walton family. let me tell you 7 things that the Middle Eastern retailers and Mall owners/landlords could learn from Walmart. Being a huge organization with millions of employees’ does not deter Walmart to take swift actions which result in Innovation and brings out innovative approaches to their retail offerings. The Walmart team looked around and asked what else do their customers need? How can Walmart enhance the Customer Delight? How can they embrace new technology and channels of distribution (e-commerce) to enhance their customer’s experience? How can they attract more footfalls into their hypermarkets or malls? The deep diving into these questions gave Walmart a completely new dimension to their business. The answer was “Give people a place to gather, share, be entertained and feel good about Walmart”. The result is the birth of “Walmart Reimagined”. Walmart Reimagined is a unique concept which follows the core principle of Walmart i.e. “Everyday low prices” i.e. finding cost-effective solutions to harsh realities. Walmart innovated the utilization of their existing assets i.e. malls/shopping center and its surrounding lands by converting their centers as town centers for the local communities. 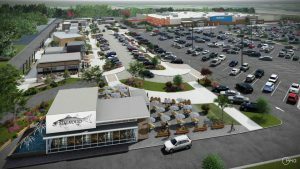 The Town Center concept is part of an overarching strategy to bind Walmart deeper into the fabric of the nearly 5,000 U.S. communities it serves. 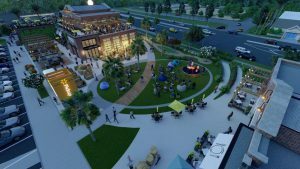 They converted the ample empty parking lots as a place for community Get-togethers, play areas, areas for community events, play areas for family and kids, including skate parks, and walking and biking paths. In addition “mobility hubs” are planned for bike rental, bus, taxi, and ride-share services. Healthy food is also planned with spaces for local farmers markets, food trucks, food halls, and food chains. Since the purchase of online shopping giant Jet last year, Walmart has acquired other digital retailers like Mod cloth, Shoe Buy, Bonobos and most recently Flipkart in India. with employees’ driving routes home. Employees are incentivized to deliver online orders on their back home. The result, an online grocery delivery that rivals Amazon and Whole Foods from more than 900 stores. Analytical expertise is the name of the retail game. Data, when combined with intelligent technology, helps organizations create connected experiences in a fragmented environment. Wal-Mart is equipped with its own powerful architecture that collects, analyzes and integrates data to create a personalized, full customer view. Wal-Mart’s goal is to bridge the gap between what customers do in-store and online to establish one seamless experience. Get all messaging directly to the point and deliver accordingly. The newly improved slogan says “Save Money. Live Better.” shoppers know that purchasing from them guarantees lower prices for better products. My personal learning from this quote, while change is never easy, those companies that adapt quickly have the best chance of survival. If your answer is NO, (which I presume) then feel free to reach out to me for free advice wherein I can share my wisdom to transform your business Walmart Reimagined way. References: Walmart Wikipedia, ICSC conference- Walmart keynotes, Business Insider & Forbes.